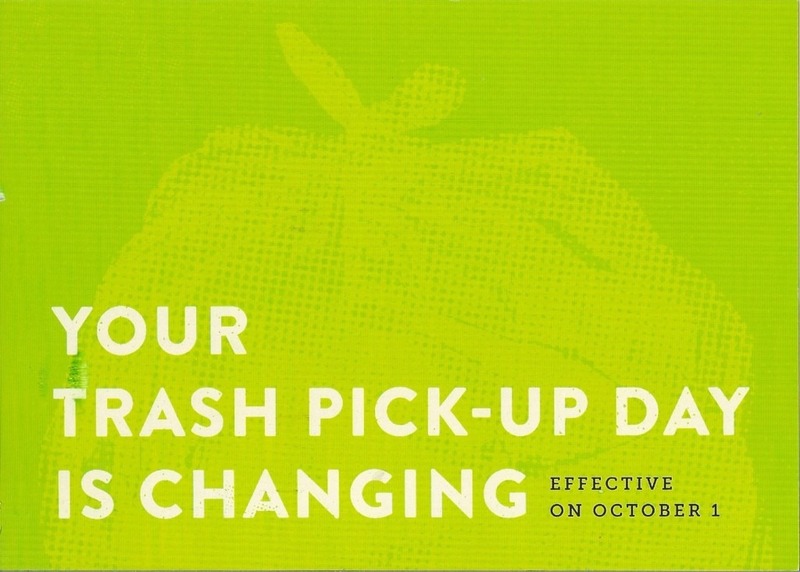 Effective October 1, 2017 Wednesday trash collection area south of Missouri Highway 152 from North Oak to I-435 moves to Friday. This change effects our Bridge Pointe neighborhood. The changes are designed to improve service for residents in Kansas City. Learn more by visiting kcmo.gov or by calling 311 or 816-513-1313.